After Season 25, Survivor is returning to the Islands of Caramoan in the Philippines for its 26th season. This time bearing the name itself, Survivor Caramoan: Fans versus Favorites. Previous season, Survivor Philippines was one of the best Survivor ever hailed as the most unpredictable one. The only season that the bootees were only determined two minutes before the voting/booting. Unlike in the previous seasons that usually before the castaways left their camp they already have figured out who to shooed away. Credit goes to the brightest stars of the season - Abi-Maria with her acid tongue and suffocating attitude and ofcourse Lisa, the former teenstar from "Facts of Life" who unknowingly her gameplan was to play two-agent. Back in the game is Malcolm from previous season. Ofcourse, if there is one person who needs a redemption it's Malcom. I mean he could be the runaway sole survivor if he made it to the Final 3. He was the strongest, the most loved both by castaways and fans. He will be in Bikal Tribe and joining him are former and favorite castaways from prvious seasons. 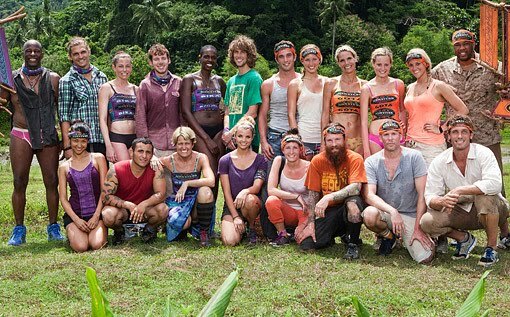 Survivor Caramoan will premiers February 13, 2013.